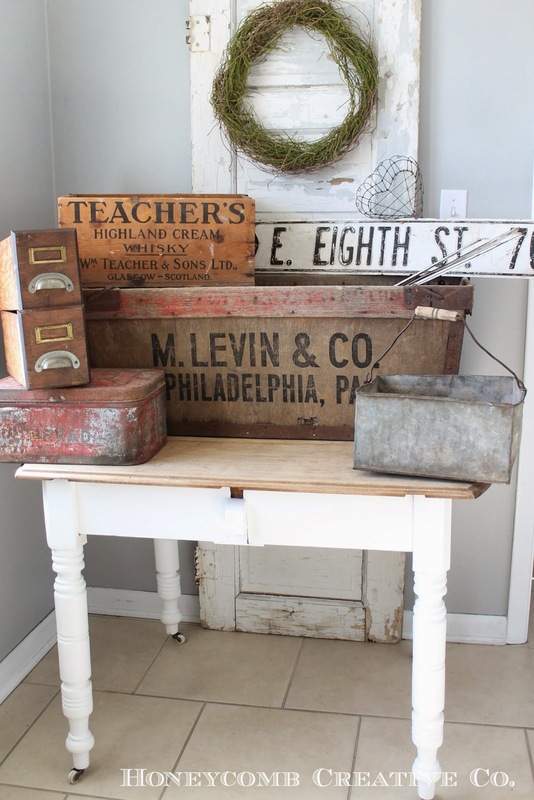 This month's hunting has yielded some fun vintage finds to bring to The Cottage sale this week. 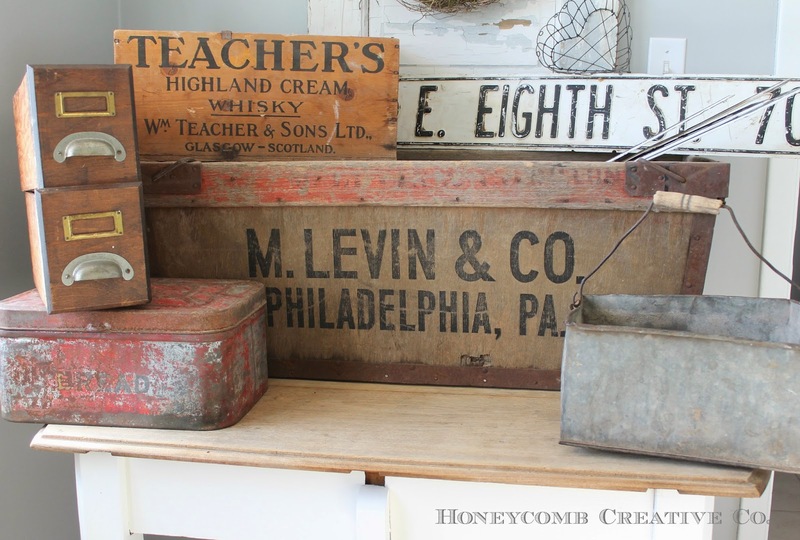 It wasn't intentional, but I seem to have found mostly boxes, crates and items with typography. 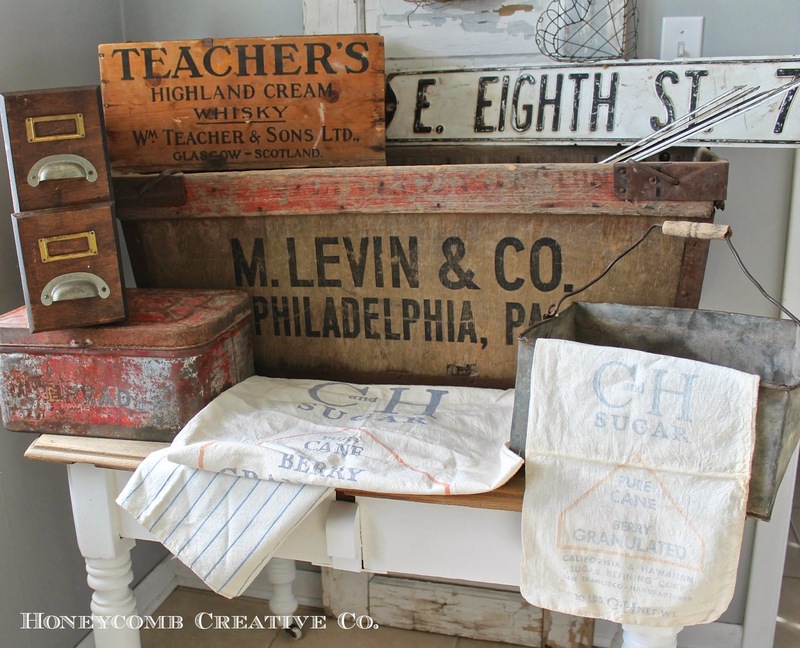 But I don't mind, because one of the best ways to incorporate vintage finds into decor is through interesting storage items like old boxes, drawers, totes, bins, etc. These all fit the bill perfectly! I fell in love with the whisky crate the moment I saw it since Matt is a teacher. I hope it goes to a good home, perhaps of another teacher! 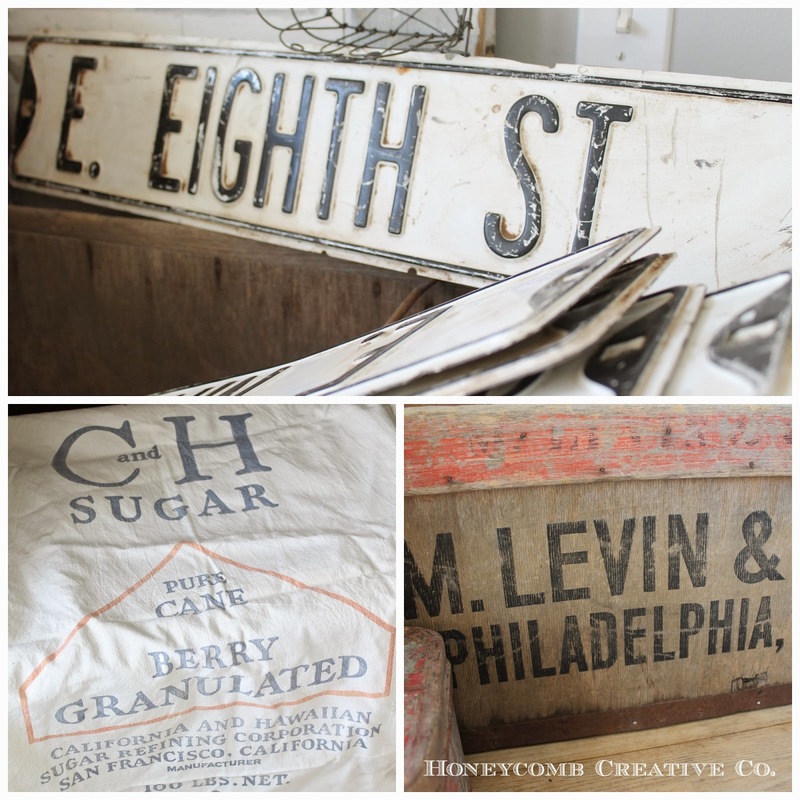 I am an absolute sucker for vintage black and white street signs and I found a whole lot of them recently! I have two eighth street signs, two eleventh and a ninth street. They'll be $25 each if I can bear to let them go : ) I also have the large C&H sugar sack, a small one and two medium size blue striped sugar sacks. 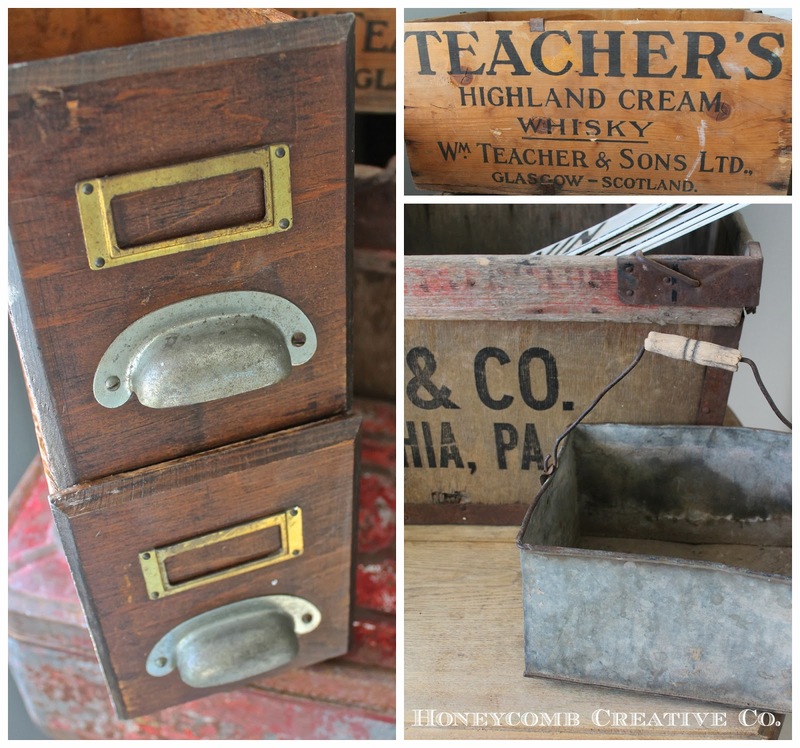 I absolutely love the old hardware on these vintage drawers. They would be perfect for stashing just about anything. 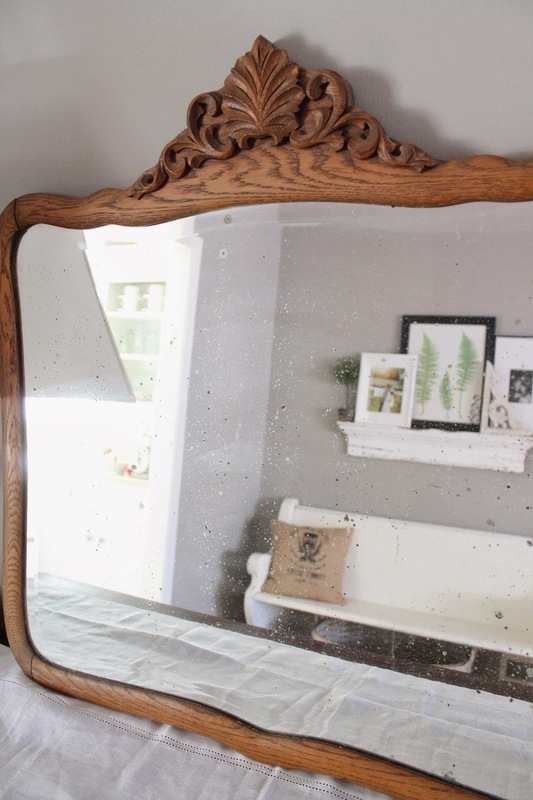 And last but not least, I found this gorgeous antique mirror. I absolutely love the shape, detailing and de-silvered glass. I do plan to paint it before taking it to the shop. The lines are gorgeous but the wood is a bit tired, and I think it would come alive if it were white or at least whitewashed. If you're local, The Cottage is open February 21 and 22 from 9 - 6. We're at 137 N. Oliver in Kechi. Hope to see you there! What fabulous finds. Wish I lived closer! omg I want it all!!! 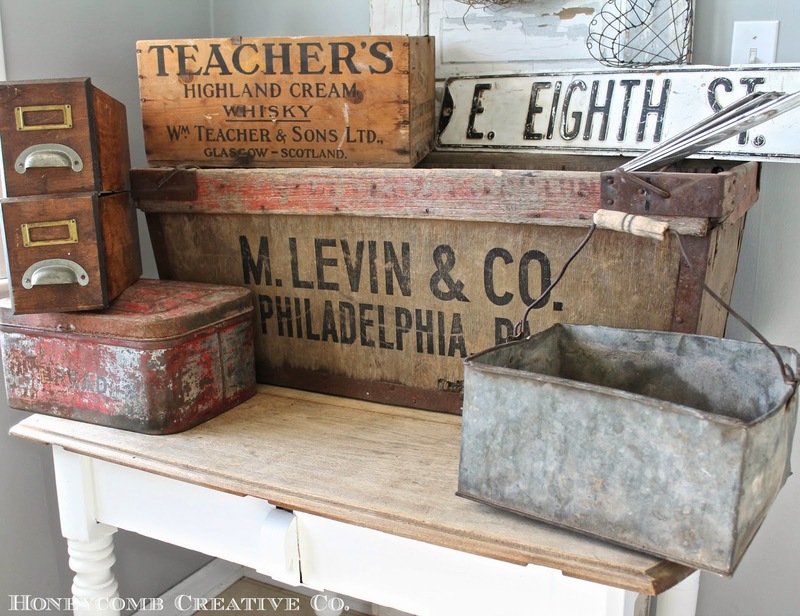 Love all the crates and boxes..my weakness I must confess!! 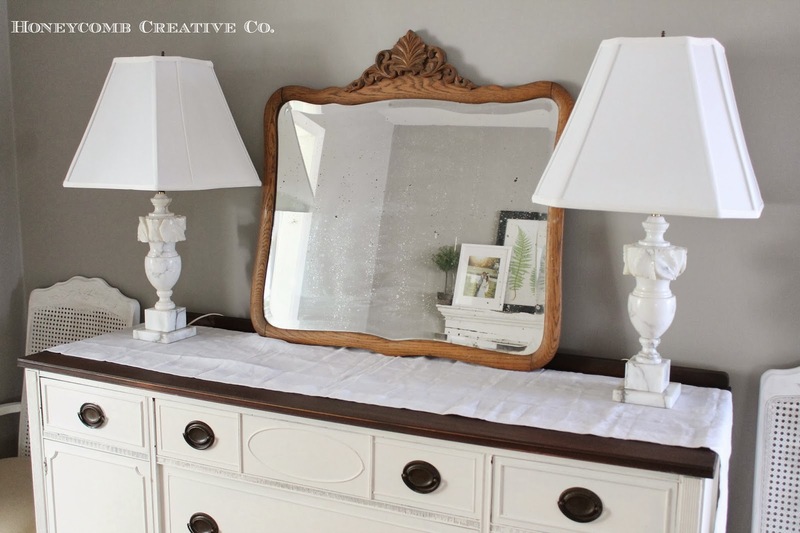 I would SO love a mirror like that! My antiquing jaunts however have come up with nothing! The search continues! Your ninth street sign came to my house! Love it and can't wait to have my wall ready to hang it up! All your finds are fabulous! !